See how it is done by my good friend Lisa Kelly. 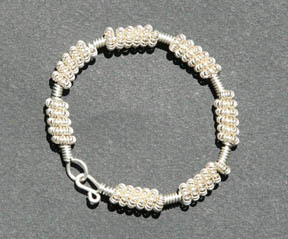 Bracelet With Sterling Silver Butterfly Barrel Bead. 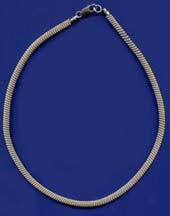 Click here to go to the project..
Make a long coiled wire necklace. 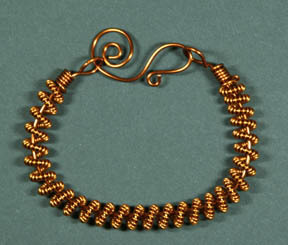 Click here to go to the project..
Bracelet With Coil Springs. 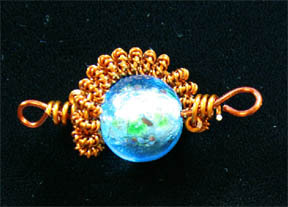 Click here to go to the project..
See How to do Wire Wrap a Bead on the Gizmo.. Click here to go to the project..
MAKE A MATCHING PAIR OF EAR WIRES. 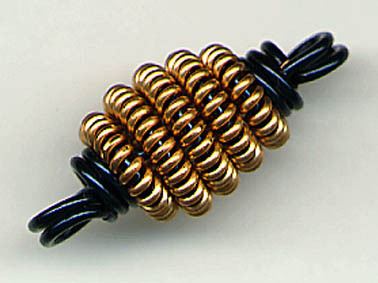 Click here to go to the project..
Click here to go to the project..
You could make these beads by hand. The ancients did. But you might feel like an ancient yourself after the hours that it would take you to make them. 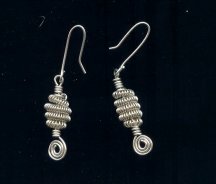 Each of the beads in this pair of earrings can be made in about five minutes. FREE twelve step by step projects. 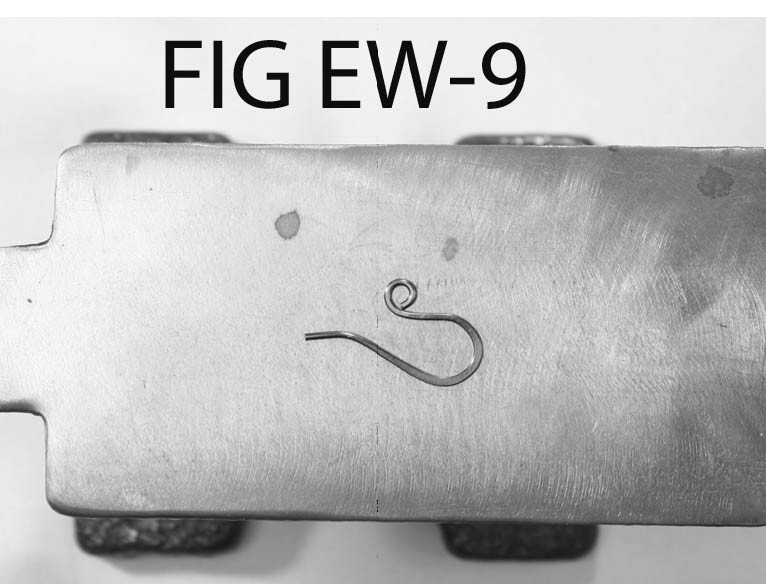 The Coiling Gizmo® is a tool for both the hobbyist and the professional. No matter who uses it, the end product has the look of professional crafting. 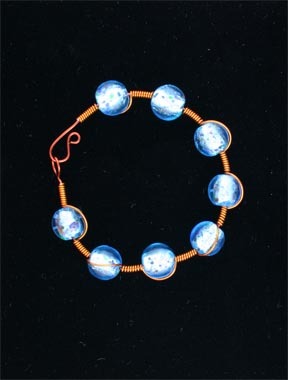 The Professional Deluxe Coiling Gizmo® was used to make the chain on the necklace and bracelets below. 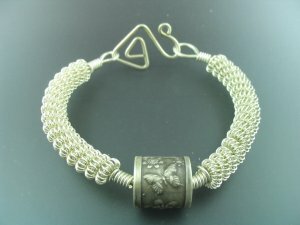 Knitted wire chains like this take hours to make by hand. We won't tell anyone that you can do an eighteen inch chain like this in about an hour. 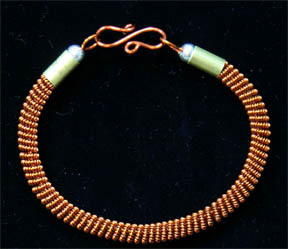 Some of the most popular pieces of coiled wire jewelry are bracelets. 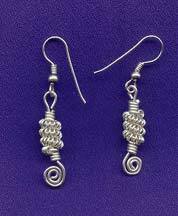 Combine them with Bali silver beads, glass beads or your own polymer clay or Precious Metal Clay beads. These bracelets were made on the Professional Deluxe Gizmo. These bracelets were made on the Professional Deluxe Gizmo. 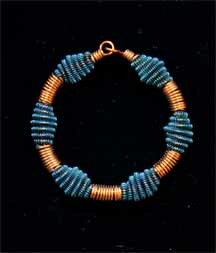 See how to make a bracelet with the Econo Winder. at my other site. 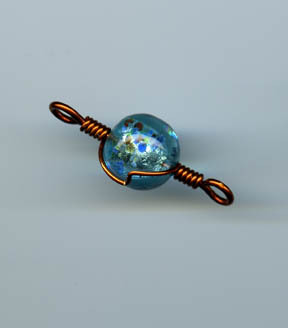 Click onto the jewelry button.